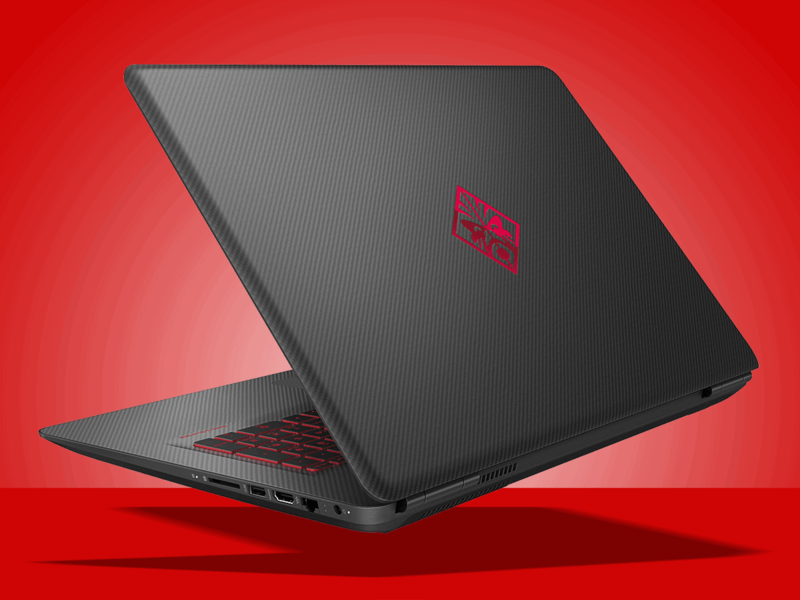 The HP Omen 17 gaming laptop hits a really sweet spot. 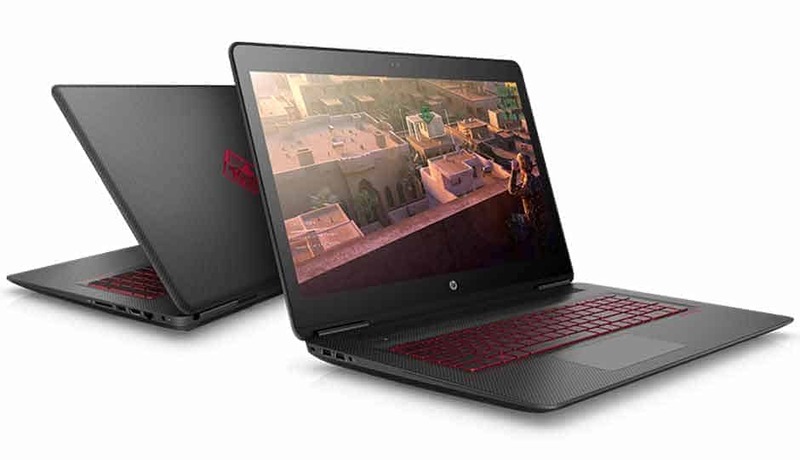 Yes, there’re several other gaming laptops that have greater graphical power, however, most of them are either much more expensive or much heavier than the HP Omen is. 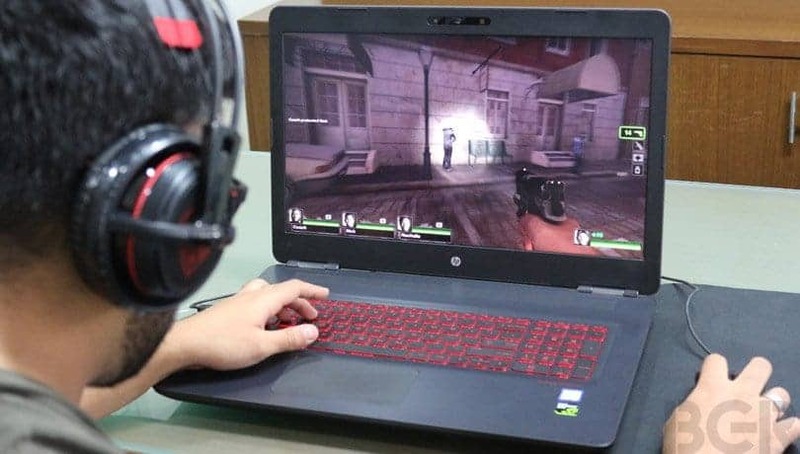 Contrastingly, they’re also lighter, thinner gaming laptops in the market as well, but they are also mostly much less powerful in performance and, yet again, a lot more expensive. 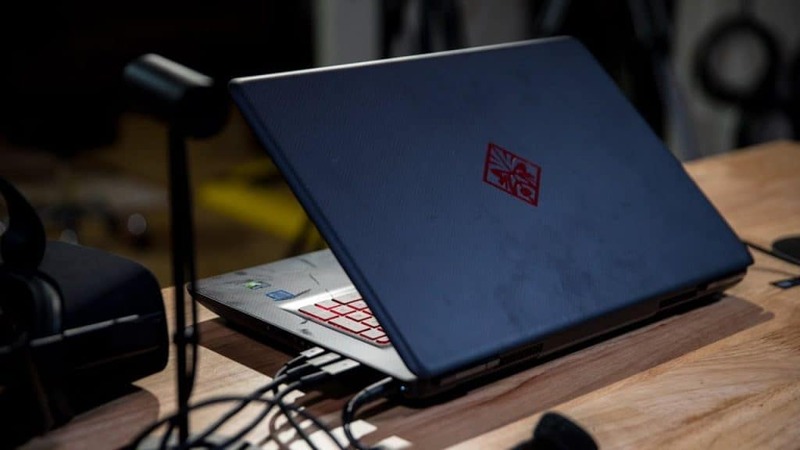 Why the HP Omen laptop succeeds is because it’s a relatively light, small machine that has managed to cram an impressive amount of power for a price or cost that is slightly lower than most of the competitors it has. Unlike its small brother, that’s 15-inches, the HP Omen 17 allows for 1070 Nvidia GeForce graphics card configuration. A 1050 GeForce will let you play today’s games, a 1060 one allows for a bit of VR dabbling, but a powerful 1070 is simply out of this world. It’s the better bet if you intend to engage in tomorrow’s video games. However, there’s actually one more step beyond that. That’s the 1080 Nvidia. Unfortunately, though, that’s again where prices can really shoot up. Measuring in at around 16.65×11.97×1.3 inches it’s not overly big, but it’s also not as streamlined and thin as compared to its competitors such as Dell’s Inspiron 15 and Alienware 15 R3 gaming laptops. It weighs in at slightly over eight pounds which means it’ll be able to fit into any backpack or bag, but its weight will ensure you definitely know it’s there. It has an all-black exterior that has red lights on its lid that interrupt the all-black motif. It also has labels on the keyboard and on all the ten expansion ports as well. The keyboard also has a red backlight. If RGB backlight is what you might be considering then you might have to go for the higher model counterpart. The Omen 17’s keyboard is really enjoyable. The keys feel well-balanced and they have little travel as well. Those full-sized gaming keyboards with macro keys for shortcuts found on the left and the numbers pad on the right usually take up a lot of housing width. There are two physical buttons on the touchpad and it’s really smooth when moving files or scrolling across the desktop. It’s a full-sized gaming laptop that’s loaded with expansion ports. What you’ll find on the left side of the machine is a Gigabit Ethernet, mini-DisplayPort, an SD card reader, audio in/out, Type C USB Thunderbolt 3, USB 3.1 and HDMI 2.0. On the right side, there’s an’ additional two USB 3.1 ports and a charging port. Basically, the ports on the Omen 17 are more than enough for you to connect and power your laptop to literally anything you’d like with plenty of room to spare. For its price tag, this gaming laptop is an insanely, fantastic computer. The G-Sync enable, 4K display screen, as well as it’s ample storage capability, make up a lot for that slight bulk and plastic feel. Its value really shines when performance is concerned. If you just want high detail and smooth frame rates, crank things up and go ahead and set your resolution to 1080p. The HP Omen 17 gaming laptop definitely delivers. If you’re okay with sacrificing some graphical flourish and lower frame rates you can kind of get away with playing 4k games and still have an excellent experience. However, this mostly depends on how demanding that particular title may be. When tested, it managed a performance test of about one hundred and thirty minutes on one full-charge. This isn’t that bad at all. However, the fact that HP touts GTX 1070/UDH battery life variants which has the ability to go up to three hours and thirty minutes, makes that battery lifespan a little bit disappointing. This means that one hundred and thirty minutes performance test will generally translate to battery life, from one charge, of around slightly over two hours or so. The Omen’s main software suite that HP installed is known as the Omen Command Center. Slightly above the numeric keyboard is a shortcut button dedicated to launching the command center. The command center’s home screen displays current GPU as well as CPU loads. It also displays each component’s temperature level and memory utilization as well. You have the ability to customize up to twelve macros within the said command center. You can also disable or enable its in-built Network Booster using the same route. It’s certainly not let down by its software. It can handle its own just fine. The HP Omen 17 gaming laptop has a fairly stacked specifications sheet and that makes it a bit hard to gauge how lesser models would fair. However, in our opinion, it does just fine as is, especially when concerning next-gen gaming. Nevertheless, that 4k panel extra cost doesn’t look that bad. Those few additions make it so much better, but you don’t necessarily have to make them. This gaming laptop, as is, can more than just hold its own. It’s definitely among one of the top brands at the moment. A big factor as to why it made it onto our top gaming laptops list of 2018. You can check out that list here. The HP Omen 17 Gaming laptop isn't a bad piece of kit, it has some fairly well-specced hardware, however, is let down by its battery performance. Here at the GadgetGang we wouldn't purchase this laptop for our personal use as we feel there are many other laptops out there around the same price which excel in speed and performance, not to mention battery life.